Japan is magnificent but is there an easier and more affordable way to experience its endless beauty? Even if you manage to snag cheap flights to Japan, the pricey shinkansen (bullet train) rides can cost around ¥14,900 ($170)*. This tends to deter visitors from venturing to multiple prefectures. But no more pining for Nippon. Here’s how you can get low fares from Singapore to Japan, and even within Japan itself. Believe it or not, you can fly from Singapore to Osaka for as low as $244* – and that’s during the peak season in June! Low-cost carrier Jetstar offers perennial cheap rates to this prime destination. One of the most popular low-cost carriers among Singaporeans, Jetstar is known for offering unbelievably affordable prices to the hottest travel destinations. From short-haul getaways within Asia to long-haul holidays across the globe, the airline throws in deals and promotions that travellers love to look out for, and snap up. And now, thanks to Jetstar, flying to Japan doesn’t have to be a costly affair. Flights from Singapore to Osaka’s Kansai International Airport take a short transit either at Taipei Taoyuan Airport or Manila Ninoy Aquino International Airport. It’s a fuss-free journey with great service from the flight attendants, who’ll see you through a safe and comfortable trip from boarding to transit, to the minute you land. Be spoilt for choice with Jetstar’s lovely in-flight menu with treats that’ll remind you of home. The ease of travel doesn’t stop there. If you’d like to visit another Japanese city, Jetstar can connect you from Osaka’s Kansai International Airport to six other major Japanese airports in a single booking. A great route I’d recommend is a transfer between Kansai and Hokkaido. Experience the buzzing city lights of Kansai’s major cities of Osaka and Kobe, and get transported back in time in the ancient streets of Kyoto. Then, take a short two-hour flight to Hokkaido (Sapporo), where serene mountains and colourful scenery await. Travelling between these two regions opens your eyes to the wildly different cultures and sights of Japan. Jetstar transits from Osaka to Hokkaido (Sapporo) for only about $50. That’s right, it’s a mere fraction of the price of the shinkansen. Domestic flights within Japan are run by Jetstar Japan – so you can look forward to even friendlier service, and a special in-flight menu filled with seasonal specialities so you can make the most of your time even while travelling to different parts of Japan. But don’t rush into booking the next available flight just yet! You should know when to travel and for what. Here’s a breakdown of Japan’s seasonal specialities. Probably the most adored season is spring, when the cherry blossoms bloom. Warmer cities such as Tokyo, Osaka and Kyoto see earlier blooming (end-March), while colder regions like Sapporo can see the sakura as late as May. Limited edition cherry blossom-flavoured snacks and themed products go on sale in March and you should check them out. If you want to avoid the spring crowd, summer is also a great time to take in the burst of colours throughout Japan. 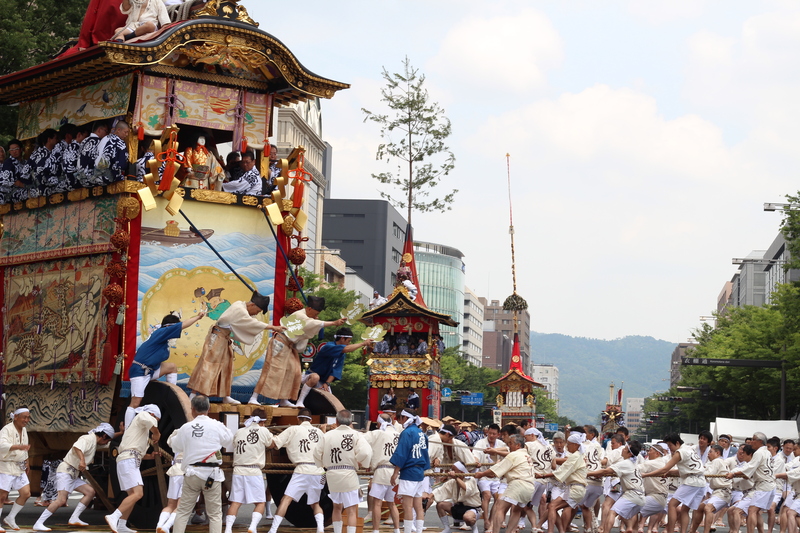 Kansai alone throws a multitude of must-catch festivals, most popular of which are the Tenjin Matsuri in Osaka and Gion Matsuri in Kyoto. Join the parade of fireworks and festivities as the whole nation celebrates with giant floats and decorations that are larger than life! Autumn (October to early-December) is the season of lovely warm colours. 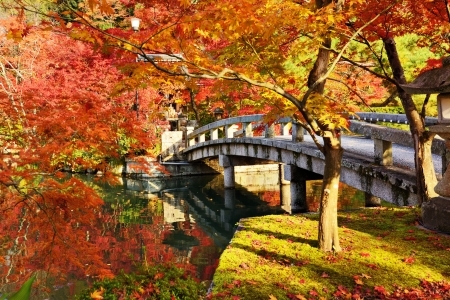 Enjoy the spectacular spectrum of orange, yellow and red koyo leaves that blanket the entire country. Travel activity is quite low, except at national parks where you can view the best shades of fall. And winter (December to March) brings a totally different feel to the scenery. In the countryside, flower fields like Takino Suzuran Hillside National Park change into large-scale snowy playgrounds. Admission here costs ¥410 (¥80 for kids), but it’s free during wintertime! Times to avoid travelling here are the Golden Week (end-April to early-May), when trains and sightseeing spots get very crowded with locals alone; June when it’s rainy and overcast; and August to September, the peak of the typhoon season. So you want to uncover Japan’s unseen and beautiful lookout spots. Going free and easy – even if it’s just two extra days without a guide – is the best way to do that, and it can be quite simple! Take advantage of the Japan Rail Pass – it’s only available for tourists, and you can go on unlimited train rides on Japan Railway (JR) lines for discounted flat rates. For example, a seven-day pass would cost ¥29,110. Most of the lines within and between the prefectures are operated by JR. Jetstar is still the cheapest and fastest way to travel between faraway regions but you can take JR trains between cities nearer to each other, like Osaka and Kobe. If you find yourself in Hokkaido, don’t just stick to your hotel’s public bath – take Noboribetsu’s onsen walking trail to experience its diverse range of natural springs. Start at Jigoku-Dani (Hell Valley), a 450m-wide valley of boiling and bubbling geysers. Continue on to a gushing sulphur spring called Oku-no-yu, then dip your feet in the Oyunuma Brook Natural Footbath. Finally, end your journey at Taisho Jigoku, where a 10m-wide geyser is rumoured to have turned seven different colours. Up north in the city of Sapporo lies the Okurayama Ski Jump, where the 1972 Winter Olympics were held. Here, enjoy a rare commanding view of the Sapporo cityscape from a viewing lounge atop this 307m mountain, while savouring Hokkaido’s signature vanilla-melon soft serve. Yum! The ski lift ride down provides another spectacular view – if you dare to open your eyes! A round trip along the steep slope to the viewing café costs ¥500 (adults) and ¥250 (kids). For more of such amazing sights, be sure to visit the Floating Garden Observatory and Abeno Harukas for stunning 360-degree views of Osaka, and Mt Rokko’s Garden Terrace for a marvellous vista of the Kobe waterfront. Independent travel is an unbeatable experience you have to try when in Japan, because you’ll have the luxury of time. Here are some must-tries that most tour groups can’t cover. Hokkaido is known for Shiroi Koibito, a famous brand of sweets produced exclusively here. While you’re touring its Tudor-styled Park, you can design a giant Shiroi Koibito to bring home with you for just ¥1,080 (not including entrance fees). Speaking of personalised souvenirs, you can also customise classy glassware at the popular Kitaichi Glass Hanazono Shop in Otaru, Hokkaido. I chose my favourite chalice and sandblasted my selected designs onto it. Courses start from ¥900. Be sure to wrap it up well so that it’ll reach home in one piece! In Kyoto, I found myself engaged in an interesting affair. Kyoto is home to geisha and maiko (trainees), talented female entertainers in high demand with Japan’s most sophisticated. Naturally, I dolled up as a maiko, and got all wrapped up in layers of white powder and colourful kimonos. This is definitely a must-try for the ladies! Packages start from ¥11,500 at the popular AYA Kyoto. Popular choices include the garden photoshoot and location shoot around the Gion district. And there’s more to enjoy in Kobe than its juicy beef. The Kitano Meister Garden here is filled with vintage handicraft workshops where you can make your own products. I tried my hand at waxing and painting a traditional Japanese candlestick (¥1,200). These activities can take upwards of two hours – time that many tours cannot afford but which you can if you’re going free and easy. It’s definitely something I’d recommend. Who knows what new exquisite facets of Japan it will open to you? Weekender would like to thank the Japan National Tourism Organization (JNTO), Kansai Transport Bureau, New Kansai International Airport Company, Ltd, Jetstar and all the venues in the itinerary for hosting our writer. *Some prices stated are excluding tax and any other service fees. Flight and train prices may vary.